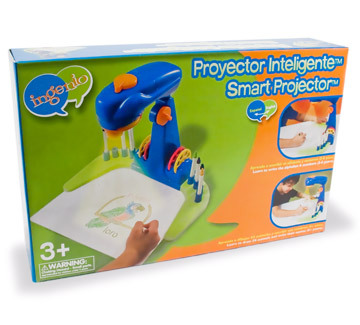 A fun projector that is compact, easy to use and provides hours of entertainment and creativity. 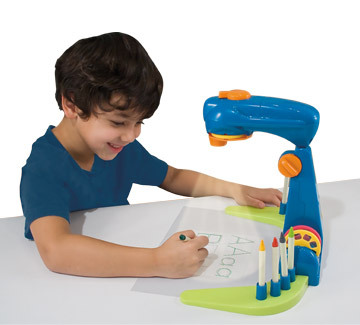 Teaches how to trace and write the alphabet & numbers (from 3 to 4 years). 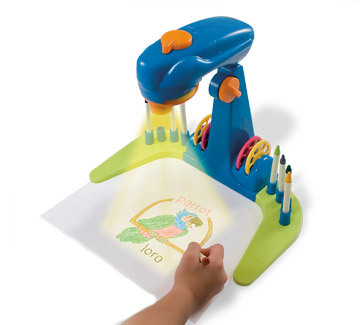 Trace and draw 24 animals and write their names in English/Spanish (Over 4 years). Bright LED provides a clear image along with long battery life. The size of the image can be adjusted to suit the drawing surface. 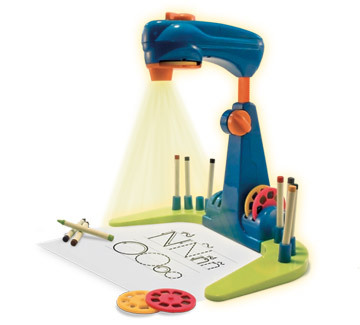 NOTE: Requires 3 AA batteries. Crayons not included.